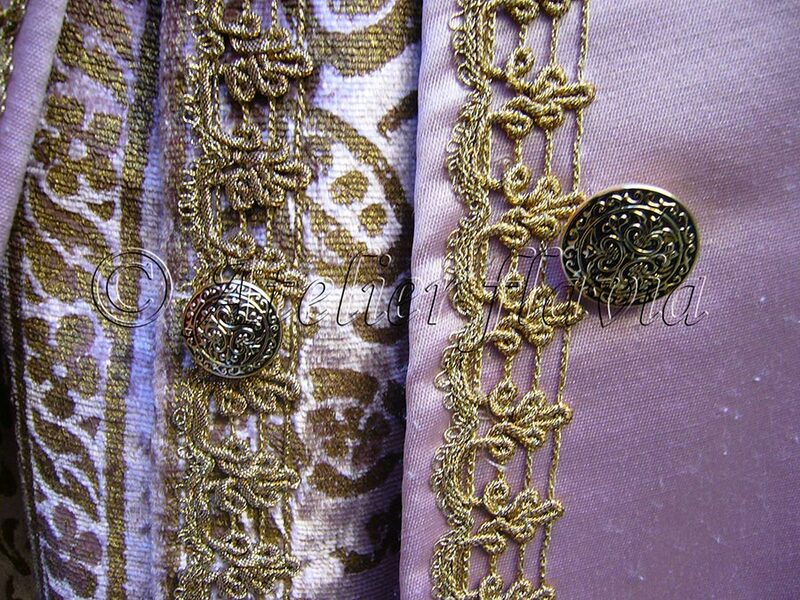 Jacket: polyester satin, silk and viscose printed velvet, lurex passementerie, metal buttons, polyester satin lining. Waistcoat: silk and viscose printed velvet, polyester satin, lurex passementerie, metal buttons, plastic pearls, polyester satin lining. 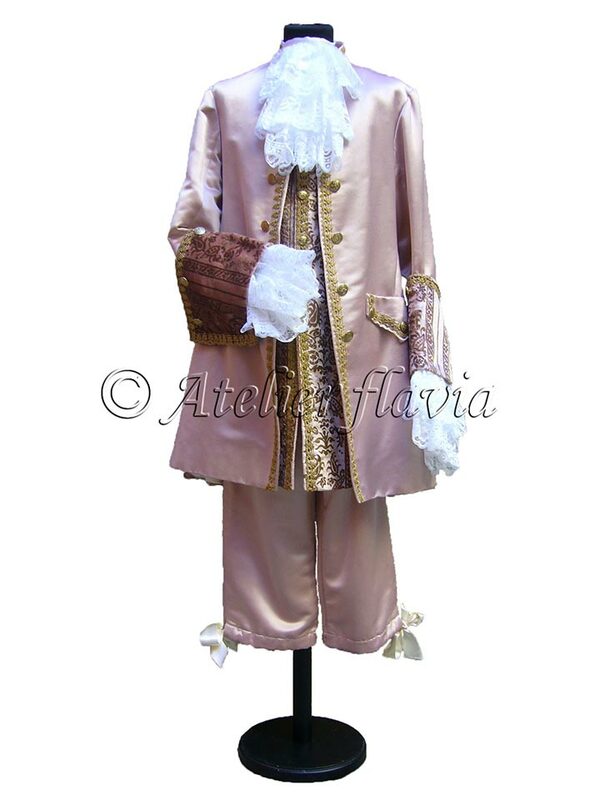 Trousers: polyester satin, metal button, polyester satin ribbon. 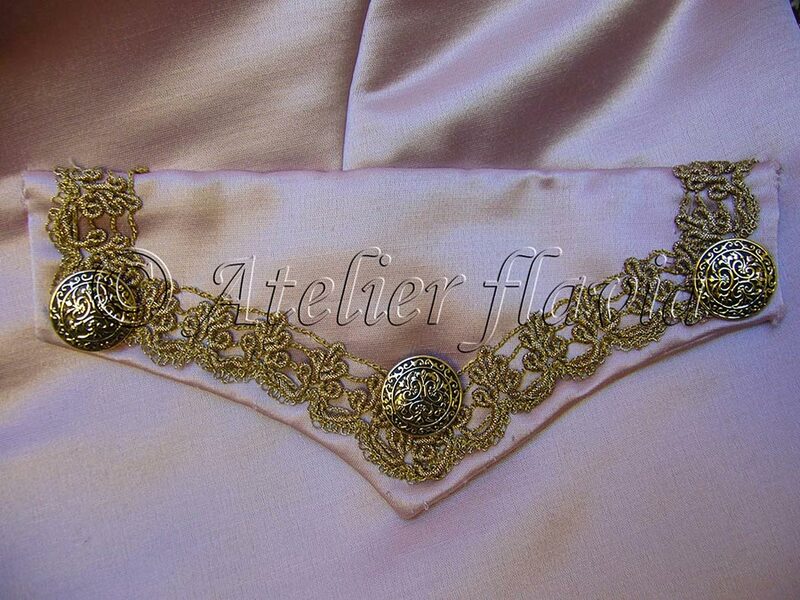 Accessories: Jabot, Manchettes, Shirt, Socks.